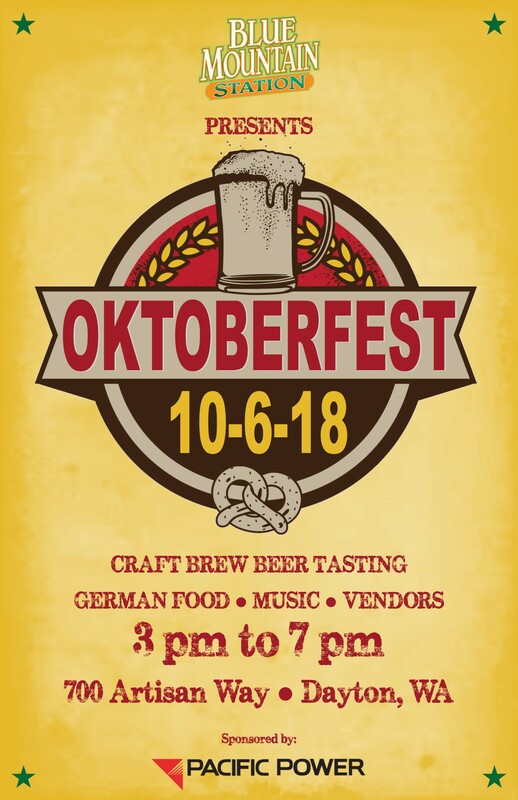 Join us on Saturday, October 6th from 3 pm to 7 pm at the BMS Food Park for the fourth annual Oktoberfest event. This growing and super fun event will have a little something for everyone! BEER GARDEN WITH CRAFT BREW TASTING: Waitsburg Commercial Club hosts this year’s beer garden, with delicious sips from multiple regional breweries. ENTERTAINMENT – There will be festive OOOMPAH MUSIC and FIREPITS set up in case the weather is cool. OUTDOOR VENDORS – This is the last outdoor event of the year and our vendors will surely be on-hand to sell their arts, crafts and food products.